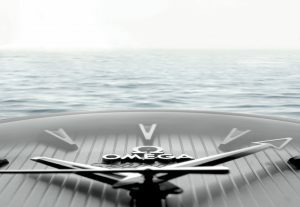 Omega Press Release – Monday 12 January 2009 -The new Seamaster Aqua Terra Collection seamlessly blends eye-catching design excellence and innovative 21st century watchmaking technology, carrying on the mechanical watch revolution which has been taking place at OMEGA since the launch of the first Co-Axial calibre in 1999. The watches in the Collection are visually striking with their “Teak Concept” dials whose vertical lines suggest the wooden decks on luxury boats. Like all Aqua Terra watches, the new Collection has a distinct connection to the ocean – you can almost feel the sea breeze. 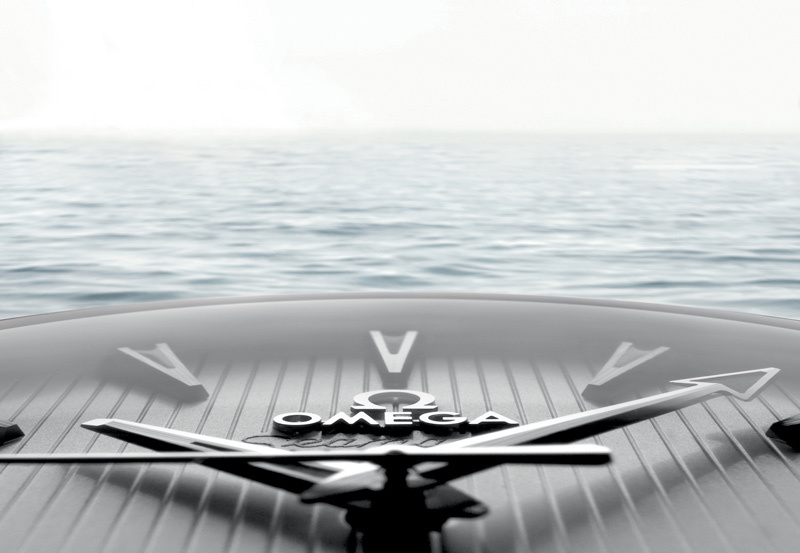 The new Seamaster Aqua Terra Collection is equally at home on the boat decks recalled by the “Teak Concept” dials or on dry land – these timepieces truly live up to their name. The dials are distinguished by the sublime “Teak Concept” vertical lines. Their 18 Ct gold hands and hour markers also have a new look: brushed and polished, they are coated with a powerful white Super-LumiNova which, in the dark, casts a dramatic blue reflection. The selection of metals for the cases and their OMEGA patented screw and pin system bracelets means that the watches are available in a number of distinctive configurations. The mechanical models in the new Seamaster Aqua Terra Ladies’ Collection are among the first OMEGA watches to be delivered with “Si 14” silicon balance springs. These extraordinary components deserve a special mention: they represent the next step in the watchmaking revolution taking place at OMEGA. The “Si 14” balance springs are named for the chemical symbol and atomic number for silicon. Silicon is non-magnetic so the performance of the “Si 14” balance-spring is not disturbed by exposure to magnetic objects. This physical property of silicon allows watches with the “Si 14” balance-spring to deliver significantly better chronometric performance than those whose balance-springs are made of traditional materials. While the rate of accuracy of mechanical watches tends to deviate over time as a result of small everyday shocks, these disturbances have almost no effect on “Si 14” silicon balance-springs. There is substantial freedom in the fabrication of balance-springs made of silicon which allows the ”Si 14”’s geometry to be modified for optimal isochronism, the quality of oscillations occurring in equal periods of time. This isochronous quality reduces the amount of deviation in the watch’s accuracy. The “Si 14” identification marks engraved on the balance arm and on the back of the watch-case serve as a reminder that these are among the finest, most advanced, most accurate mechanical timepieces in the world.